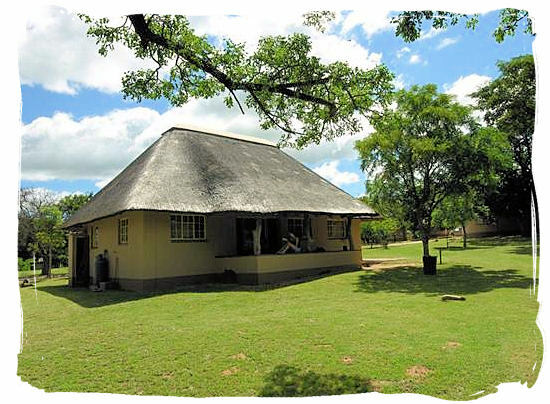 Pretoriuskop is the oldest rest camp in the Park and the first one to be opened to visitors. It was named after a member of "Voortrekker" Carl Trichardt's 1848 expedition to Delagoa Bay, Willem Pretorius. 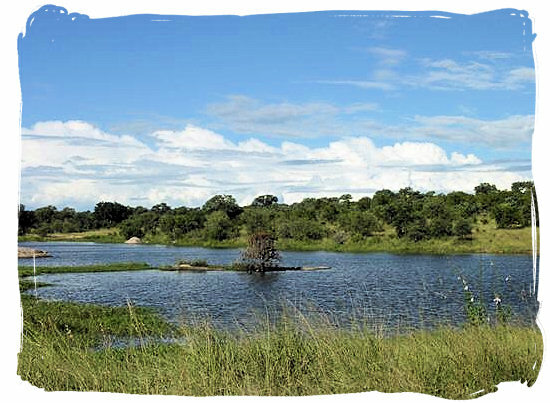 It is also the fourth largest camp in the Kruger National Park. 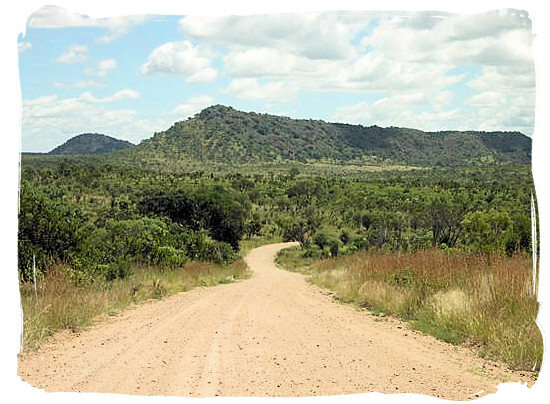 Surrounded by hills and valleys covered with thick vegetation, it is located amidst spectacular granite outcrops in the south west of the Kruger NationalPark, only 9km from Numbi gate. 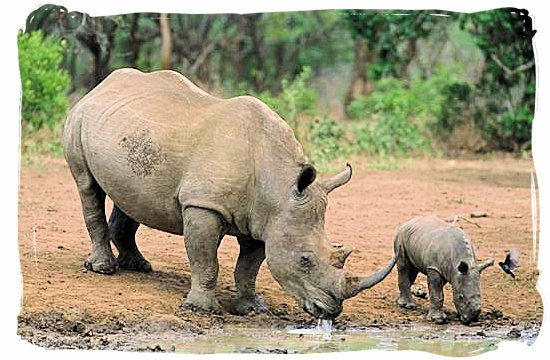 Adorned with beautiful indigenous trees, the Pretoriuskop region is home to a large White Rhino population, as well as a smaller number of the rarer BlackRhino. 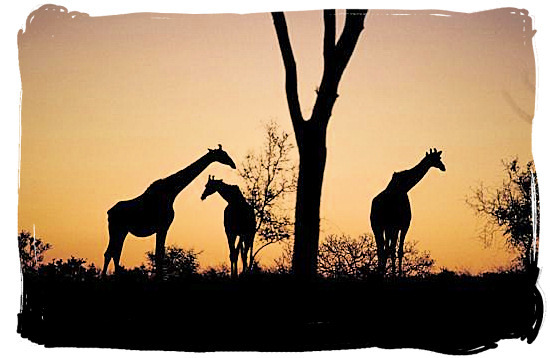 In addition the region also houses some of the rarest antelope species of the Kruger National Park, a "must see" for the African wildlife connoisseur. Beautiful indigenous trees adorn this region of the Park, with the silver Cluster-Leafbeing the most dominant one. In the camp itself there are some fine examples of Natal Mahogany, Marula and Sycamore Fig. This camp's region offers excellent opportunities to see small herds of some of the rarest antelope species of the Kruger National Park, such as Sable antelopes, Elands and Lichtenstein’s Hartebeests. The more prolific species such as Impala, Zebra, Giraffe and Wildebeest (Gnu) are frequently spotted. The region in which the camp is situated, is known for its large White Rhino population, while the Black Rhino is also present, but only in smaller numbers. Amidst the rocky outcrops in the area, one should be on the lookout for the Rock Hyrax and the Klipspringer antelopes. The rare and difficult to find Oribi and Red Duiker are more or less restricted to this part of the Kruger National Park. When it comes to predators in the Pretoriuskop region, Wild Dogs are sighted regularly in the area and, despite the dense grass, so are Cheetahs. Spotted Hyena and Leopard are also to be found. 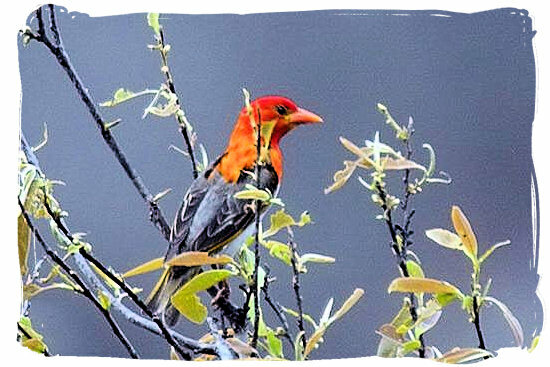 There are plenty of birding opportunities in and around the camp. Inside the camp itself, look for the Greencapped Eremomela, Brownheaded Parrot, Cutthroat Finch, Redheaded Weaver and several sunbird species. The Black Cuckoo (summer) and Gorgeous Bush Shrike can be heard calling from the dense bush surrounding the camp. 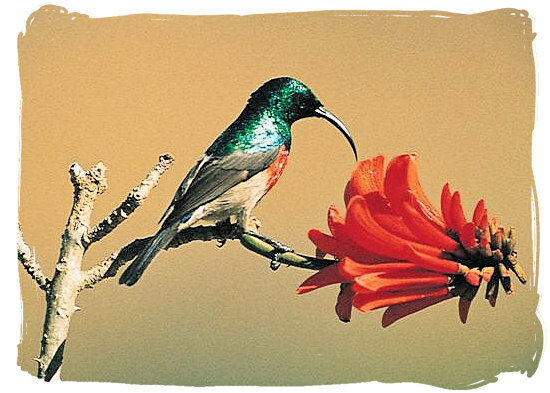 The Pennantwinged Nightjar, Blackbellied Korhaan and Redcollared Widow, are also to be found in this region. 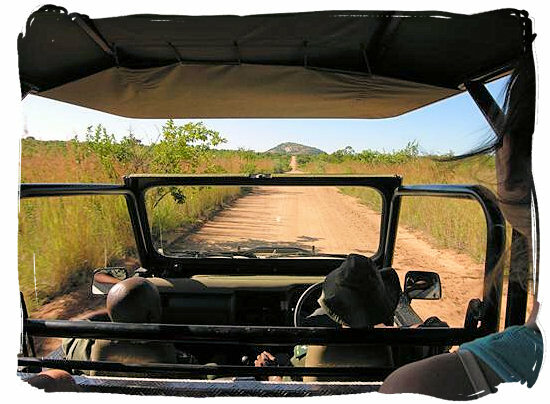 Go to SANParks.org to view a map of the Kruger National park showing the location of Berg en Dal rest camp, then click on the map to enlarge. Go to SANParks.org to view a map of the Pretoriuskop rest camp showing the lay out of the camp itself, then click on the map to enlarge. Services and facilities are the usual for a main camp and include a lovely swimming pool nestling into the granite rocks close to the boundary of the camp, absolutely a treat after a hot day’s game viewing. The camp has a new restaurant known as Inhlatfu, offering guests buffet breakfasts, A-la-carte lunches, buffet dinners and a fast-food facility. 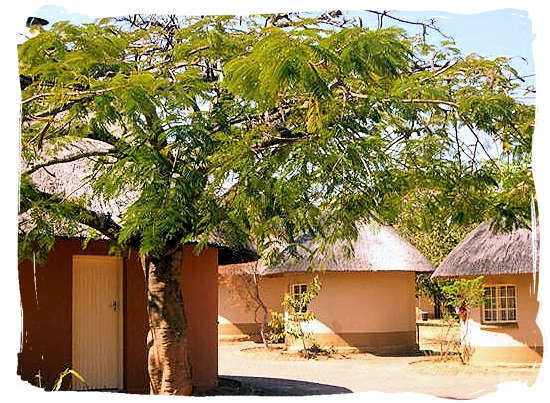 As one of the oldest camps in the Kruger National Park, Pretoriuskop rest camp can house nearly 365 guests in 145 accommodation units, ranging from fully equipped and luxurious guest houses, to basic rondavel type huts. 45 x tent or caravan sites, with or without power point. Communal ablutions and cooking facilities. (24-hour boiling water, electric hotplates and washing up facilities) Maximum of 6 persons per site. 30 x rustic 2, 3, 5 or 6-bed units with ceiling fan and communal ablution facilities. There are no cooking utensils, crockery or cutlery, but a communal kitchen with scullery and electric hotplates is available. 46 x rustic 2, 3, 5 or 6-bed units with communal ablution facilities. There are no cooking utensils, crockery or cutlery, but a communal kitchen with scullery and electric hotplates is available. Equipped with fridge and air-conditioning. 52 x 2, 4 or 6-bed units. Units are equipped with ablutions (most with showers, but some with baths) and air-conditioning. Some have both hotplates and sinks. You have a choice of kitchenette or communal kitchen, as well as with or without perimeter view. A limited number of fully equipped utensil boxes (cutlery, crockery, glasses and frying pan) are available for hire. (Confirm when booking if you would like a choice of double or single bed). 4 x 6-bed units (3 bedrooms with 1 double bed and 4 single beds) with well equipped kitchens, air-conditioning and living rooms. One bedroom has a bathroom en-suite (bath, toilet and washbasin) and there is a separate toilet, shower and washbasin for communal use. The kitchen has a gas stove (with oven), fridge/freezer combination, sink, cooking utensils, crockery and cutlery. 1 x 4-bed units (2 bedrooms with 1 double bed and 4 single beds) well equipped with air-conditioning, kitchen and living room. One bedroom has a bathroom en-suite (bath, toilet and washbasin) and there is a separate toilet, shower and washbasin for communal use. The kitchen has an electric hotplate, fridge/freezer combination, sink, cooking utensils, crockery and cutlery. 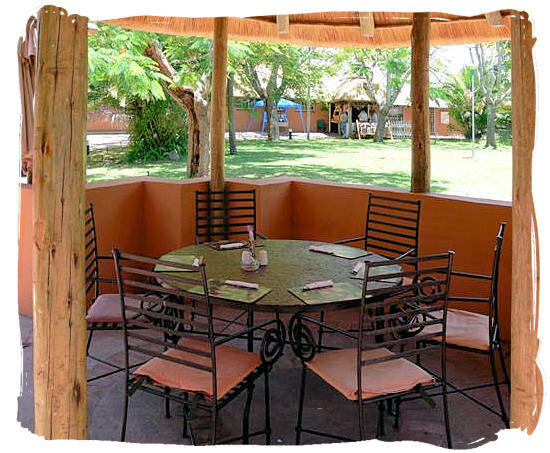 Doherty Bryant guest house: Sleeps 9, with 3 bedrooms (1 double bed and 1 single bed in each room). These are large luxury units in prime positions inside the camp. There are well-equipped kitchens (with microwave ovens) and multiple bedrooms and bathrooms (some with showers and baths, others with baths only). Bedrooms are housed in separate units from the main living area. TVs with limited DSTV channels are provided. 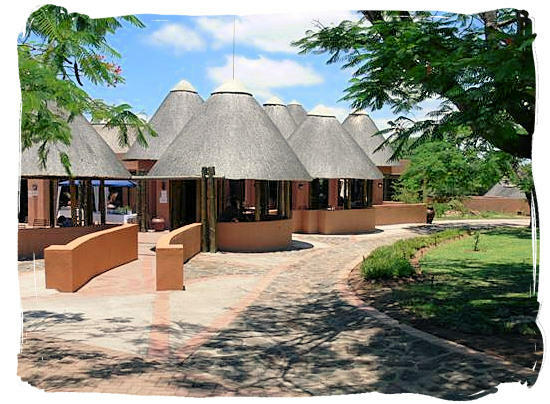 Next to the customary guided game drives and walks, with night game drives often including a Bush "braai" (barbecue), you can enjoy several historic places and attractions in and around Pretoriuskop rest camp. A visit to the original transport rider’s route, the birthplace of Jock of the Bushveld, and the Albasini ruins will be very rewarding. There is also a lovely swimming pool close to the boundary of the camp, where you can find relief from the summer heat. The closest airport to the camp is Kruger Mpumalanga International Airport (KMIA), which is situated between Nelspruit and White River. KMIA is situated approximately 15km from White River and about 50km from Numbi Gate. There are daily scheduled flights between Kruger Mpumalanga International Airport and OR Tambo International Airport in Johannesburg, with less frequent flights from Cape Town and Durban International Airports respectively. Take the N4 to Nelspruit, head through Nelspruit and after about 14km turn left on the R538 to White River. Continue with the R538, turn left at the town of eManzini and head for the Numbi gate. Travelling from Johannesburg or Pretoria, allow between 4 to 5 hours for the trip to the gate. Pretoriuskop camp is 9km away from the gate. Allow about 20 minutes for the drive to the camp, however if you want to enjoy the game viewing possibilities, give yourself more time! 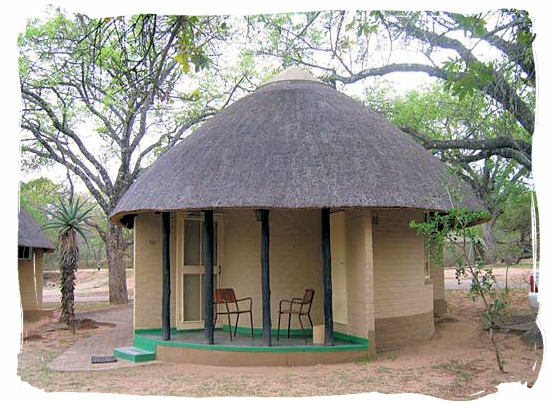 Go to SANParks.org to view accommodation availability details of Pretoriuskop rest camp on the accommodation availability page of the South African National Parks organization's (SANparks) website. Please Note that the information is updated and therefore changing real-time on a continuous basis and that requests for reservations are processed on first-come, first- served basis. Go to SANParks.org to book your reservation for the Pretoriuskop rest camp in the Kruger National Park on the official reservations page of the South African National Parks organization's (SANparks) website. Go to SANParks.org to view the tariffs applicable for the Pretoriuskop rest camp in the Kruger National Park on the official reservations page of the South African National Parks organization's (SANparks) website.